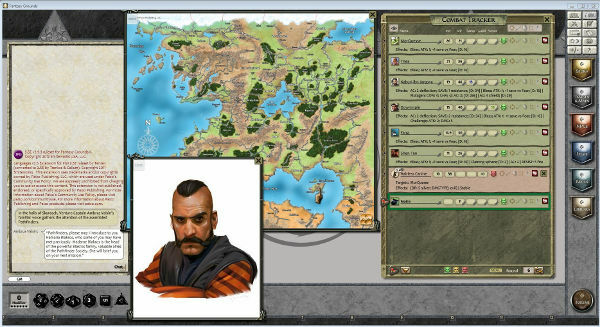 Everyone role plays differently, everyone GMs things differently. 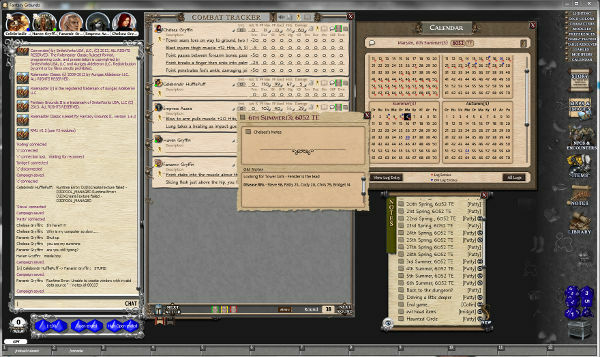 Fantasy Grounds has the flexibility to support your gaming style. 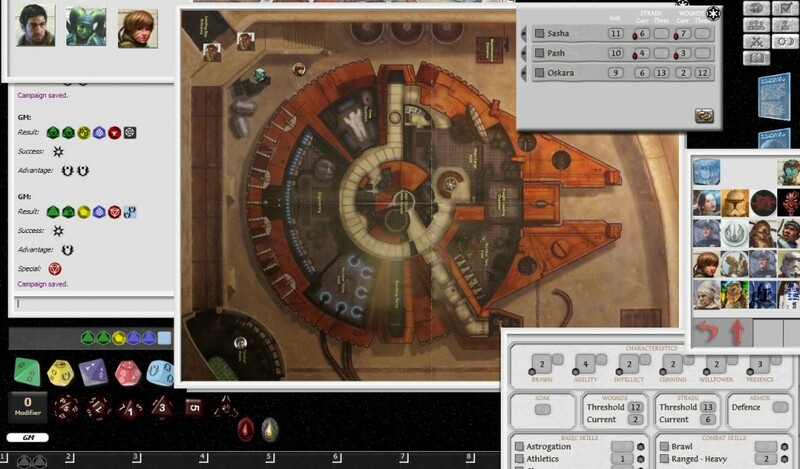 The following screenshots were taken from sessions in previous FG Con’s and show different rulesets, diferent levels of use of automation, of chat, of images and other resources. 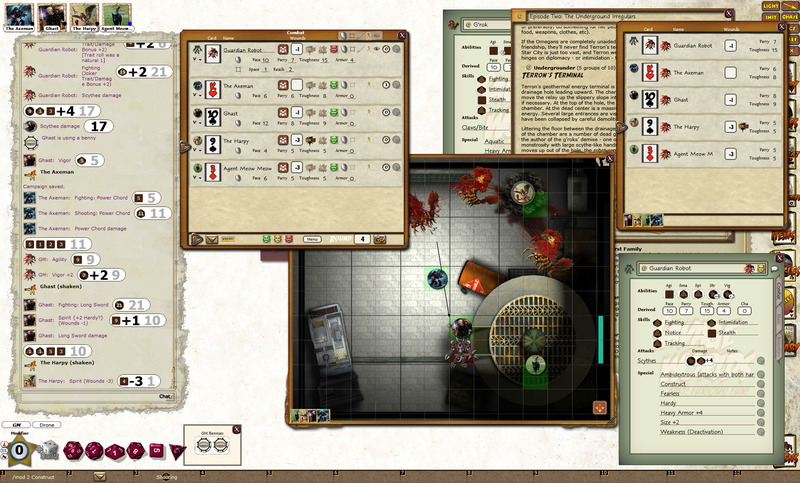 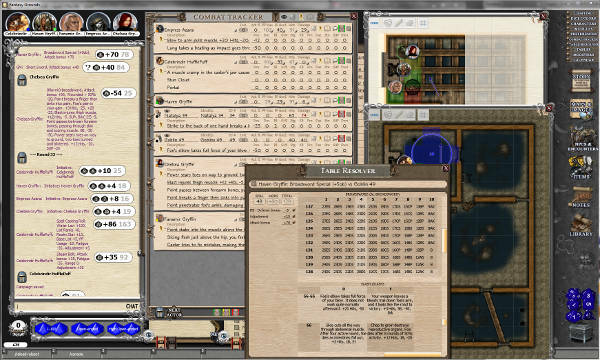 Featured below are screenshots of games using Savage Worlds, Pathfinder, Castles & Crusades and RoleMaster. 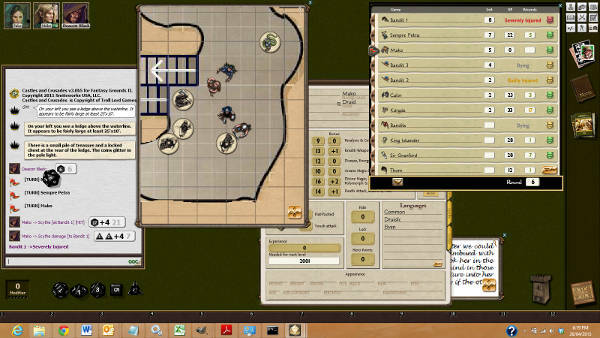 Fate: The One Ring scree shot.